Artists sometimes have a difficult time deciding whether to use a blending stump or tortillon. The differences between these two important tools can be subtle but significant. Each creates a very specific effect, so knowing how to use them properly will ultimately help you create flawless drawings and sketches that look just the way you want them. Physically, a blending stump and tortillon look very similar. 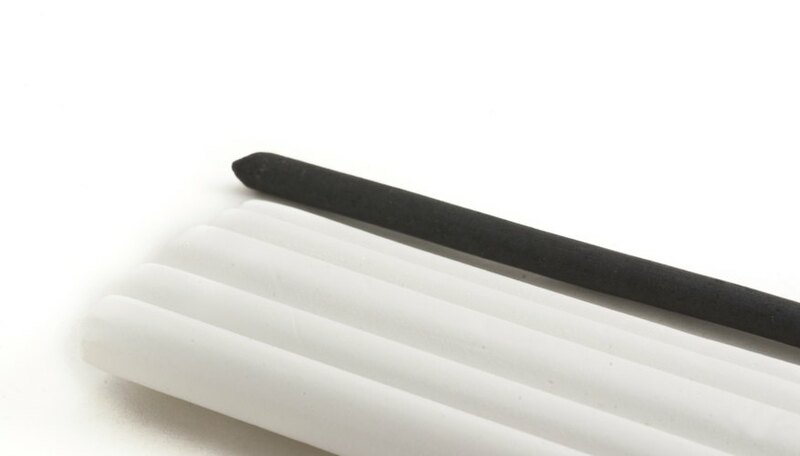 Both are made of paper, and artists use them for blending and pushing graphite and pastel around the drawing paper; however, each creates slightly different results. The main differences are paper weight and size. Stumps tend to be larger and wider with points on either end. Tortillons, on the other hand, are typically narrower and shorter. Stumps are bulkier than tortillons. The point tip of a tortillon is also more effective in areas where precision is important. Blending stumps work well for large areas that require very smooth blending and for creating a velvety appearance with dark shading. You can use a thinner stump in areas with more detail, and sometimes you can use it as a pencil to apply detail to areas. Use stumps carefully though, because they create a very dark area when blending. You can also easily destroy the "tooth" of the paper if you incorrectly use a stump. Artists use tortillons for fine detail areas. Don't overuse this tool, especially in areas with a lot of detail. Excessive pressure will also ruin both the tortillon and the drawing paper. The fine tip of a tortillon bends easily, although you can pull out the the point again by pinching the end. Keep the tip clean while blending to avoid smearing into light areas. Artists use tortillons to create an airbrushed look on their projects. You can also use soft cotton swabs to blend in small areas. Choose cotton swabs designed for children; they have a scratchproof end on the stick, making consistent blending easier. Cotton balls are also useful for larger areas. A small square of tissue paper can offer similar blending options as cotton swabs and tortillons. Makeup applicators, paper towels and art brushes are additional tools you can use. Roxanne Weber has been writing since 1991. She currently works as a Web consultant and freelance writer, covering topics related to business, the Internet, computers and art. Weber holds a Master of Public Administration from Southern Illinois University and a Bachelor of Science from Northern State University.